Have You Been Charged With a Drug Crime? If you have been arrested or charged for any drug crime you need help immediately. 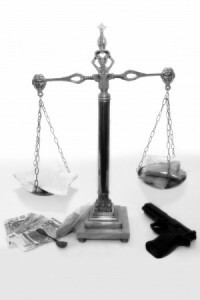 The Wirth Law Firm has an experienced and tough Oklahoma City Drug Crimes Attorney ready to help. It doesn’t matter if you have been charged with possession, distribution, or manufacturing of a controlled substance, all drug charges are serious and have the potential to ruin your life. It doesn’t matter if you have been charged with a prescription drug violation, or of a crime involving marijuana, cocaine, or methamphetamine, you need someone in your corner to review all the evidence and stand up for you in court. When you are charged with a crime you have rights that need to be protected and asserted. You could lose your case just because you failed to exercise your rights. Don’t think that it is too late to get an Oklahoma City Drug Crimes Attorney just because you have already talked to the police. You have more rights than just the right to remain silent. The police have informants and technicians working for them, who is going to stand up for you to defend you. Don’t face this important life altering even alone. Find a drug crimes lawyer to help right away. The police have already begun building their case, have you started building yours? The criminal justice system is complex and filled with many small decisions. Some of the smallest decisions can have the biggest impact on your case. You need an experienced, tough, and dedicated professional to explain all of your options. You want an Oklahoma City Drug Crimes Attorney looking out for your best interests. You need someone to honestly evaluate the options of taking a plea, or standing trial. You deserve a drug crimes attorney who knows how to deal with crime lab test results and informant testimony. Call today to begin discovering your options before it is too late. The courts won’t wait for you to make up your mind. For a free consultation with an Oklahoma City Drug Crimes attorney call the Wirth Law Office- Oklahoma City Attorney at (918) 213-0950. You can also submit an email question from the top right corner of this page. We will respond as quickly as possible to all questions.